Jul 24 What Is Masking? Masking is a term used in the autistic community to describe pretending not to be autistic. There are lots of reasons autistic people might mask, and often it is done unconsciously. As humans, we have a natural desire to fit in with those around us and everyone will adapt their behaviour at times. But as autistic people, we're not just adapting so that we seem professional in a meeting, fun at a party, or confident when giving a speech. We're also suppressing and overriding all of our autistic behaviours in order to seem neurotypical. We are actively doing things that don't feel natural in order to fit in, while simultaneously suppressing what is real and natural. There are lots of reasons that autistic people might mask. We want to avoid getting weird looks, feeling like we don't fit in, and being judged. For me, and I suspect for many others, it's also to do with processing speed. To give an honest answer or genuine reaction to certain situations or questions, I need a lot of time to process. But in the back and forth of a conversation we're often not afforded that time. So we copy others, do things we don't really like, and don't express ourselves in an instinctive way. What does it feel like to "wear the mask"? Personally, I don't remember "learning" to mask. It's just something I've always done. 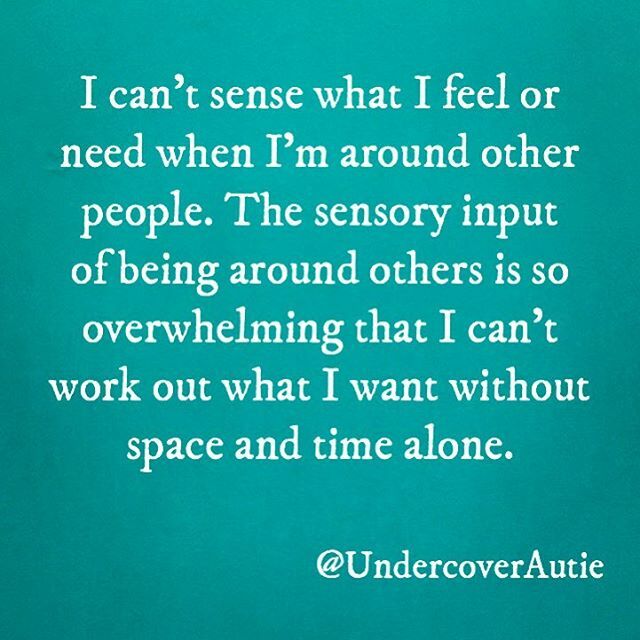 Before I was diagnosed as autistic I noticed that in social situations I would say things that weren't true to myself, and would spend a lot of energy trying to make others feel comfortable. I knew that it took me a long time to feel at ease around people, and friends would often say that it took years for me to let my guard down and for them to really get to know me. I put this down to being caring, private, and an introvert. However, when I was diagnosed I started to notice a million ways in which I wasn't being myself in front of others and that it was in order to hide my autistic traits. I had never questioned it before. If I had, I think I'd have assumed that it was how everyone interacts. Now when I look back on my childhood, I can remember specific times that I literally and metaphorically stood back and observed others before joining in (if I did join in). I still catch myself nodding along and reacting in conversations and realising with a jolt that I have no idea what they're talking about. In a single conversation or encounter I am constantly assessing myself, how I appear to other people, their reaction when I say or do something and readjusting my behaviour to get a positive reaction. I am so concerned with trying to observe myself from the outside that I don't feel at all present in myself or my body. Often when I'm masking it feels like things are rushing past me at 80mph even when I'm standing still. There's not enough time to process what's going on so I smile and nod and say generic things, all the while feeling like I'm on a rollercoaster. I am reacting as fast as I can, analysing and adjusting, and the stress of managing the situation is intense. Even when I think back to these events afterwards, I relive the experience in that fast, uncontrollable, rollercoaster way. It's exhausting. Meanwhile, I've spent the encounter not being true to myself. I leave it feeling depleted, and like I haven't gained anything valuable. It makes me feel tired and irritable. It can feel like I don't know who I really am, because I spend so much time pretending. What would I do if I could really let go and be myself? Sometimes I wonder whether I have to mask in order to go to some social events because if I was being 100% true to myself I would either stand there silently, or simply run away. In some ways, then, maybe masking is helpful. It means I am able to move about in a neurotypical world and not draw too much attention to myself. I can get along with lots of people. I can go about my daily business and be considered normal, pleasant, friendly. These are all useful things. But what is the cost? Exhaustion, irritability, a sense of separation. Huge stress on my mind and body. Not feeling relaxed because I'm putting others' needs first. Anxiety. Overstimulation. Doesn't sound great, does it? But sadly, I've found that it's not that easy to just "stop masking". Partly because it would probably mean putting up with the weird looks and the judgement. But also because when you've done something for decades, you can't just switch it off. I don't know exactly what it would be not to mask. What would I do? How would I react? Would people still like me? Fortunately, since being diagnosed, I have been able to gradually let the mask slip a little in front of my closest friends and family. While I am more relaxed and mask much less with them in general, I have come to realise that the mask is still there. I don't stim in obvious ways. I control my reactions. I am still always watching myself. But in the few years since my diagnosis I have been practicing. Two Christmasses ago I allowed myself to laugh and clap and physically express my joy when we were playing a rowdy board game as a family. I remember it because it felt amazing to express myself instinctively. My boyfriend knows that when I squeal and scratch at him I'm expressing my love. I'm sure all of my friends have heard me make random squawking noises at some point. I take myself off for 'quiet time' when I can't talk anymore. I ask questions when I don't understand things, even if I know the answers would be obvious to others. Years of masking means that sometimes I am still embarrassed when I do these things. I allow them to happen, and then suddenly panic about how strange I must look. But most of the time the people close to me seem to actually like it. It's weird and endearing and funny and means that I trust them. Ultimately, masking reminds me that I am "different", and that somewhere along the line I have learnt that it's better to pretend not to be. Hopefully that will continue to change. Follow the #TakeTheMaskOff hashtag on social media to find myself and other autistic people talking about masking over the next 7 weeks. Aug 3 What Is Stimming?